Designing the second collection, which is inspired by human emotion and psychology. The launching collection, CORE, was inspired by the area around East London in which the bags are made. There’s The Pearly, The Boxer, The Silkweaver, The Buddha and The Mariner; each bag has a distinct charm representing its namesake, with its own story card, explaining the history of these cultural institutions of the East End of London. Buying a Paradise Row bag not only supports all the different components of the local trade chain, but actively promotes the social and cultural heritage of the local area. Every Paradise Row collection will have a theme and a story, drawinginspiration from arts and culture. I always wanted to start my own thing before I turn 30 (which is next February). That was my goal when I was 18, but 30 is actually quite young! As for being a designer, in one word yes, however I didn't think at the time it was a realistic goal for me. 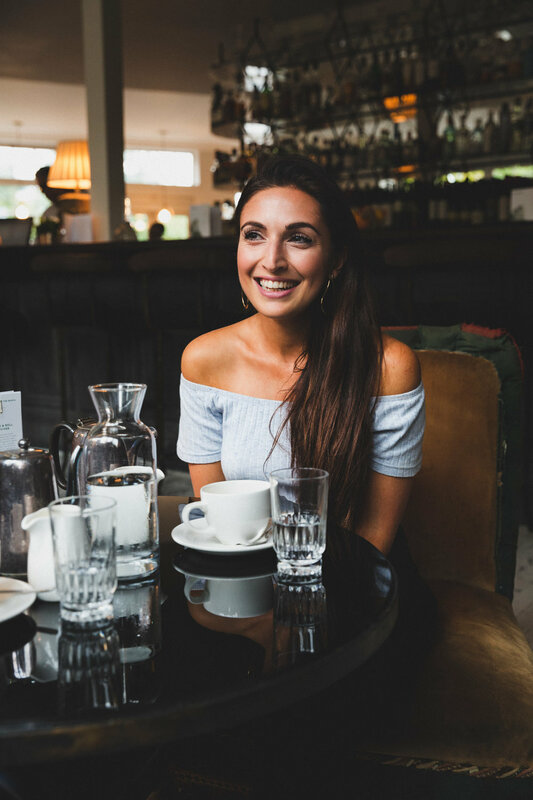 When I moved to London and was working in the corporate world, I started looking for ways to treat myself, but you could either buy handbags on the high street or from luxury, designer brands, and there was nothing in between. I thought, “Where are the bags that I can afford, which I want to carry?” I had that in my mind for about three years before I started setting up. Paradise Row, Nick [my partner] would want me to say him, but… I’ll say Paradise Row. It’s really important to me that we are directly supporting a local supply chain. I don’t think I have one, there was a strategy when I was a management consultant and banker, but now as a creative… your mind can be all over the place and it comes out in your wardrobe, too. I wear a lot of black and white, but I don’t know if it’s a strategy? Ha! There is no typical day. It could be so many things. If I take the last 7 days: choosing all the leathers, speaking to the sample maker, having three photoshoots, recording a podcast, meeting with stylists, lots of meetings at Ace, and preparing for London Fashion Week. At the moment I’m just weaning off it, but I’ve been helping with branding design at corporate firms. I’m really excited to be focussing full time on Paradise Row. Fallback, when I was working in consultancy there was a lot of analytics. Analysing a lot of data for banks and benchmarking them against each other, so I’d do that, but for fashion and trend forecasting. Whats the trashiest thing you love? I love Pizza Hut Deep Pan Pizza. I’ve just finished Never Let Me Go, I wept! I also read Freedom, by Jonathan Franzen, it’s an amazing book. It’s all about relationships, different types of love, and emotions over your lifespan. For me, it’s so important to constantly be inspired. What’s your rescue snack of choice? On a boat, that’s where I’m happiest. Floating on the water is so relaxing. Second, at a chilled beach club… very unaccessible! There is no typical day. Whitechapel Gallery is really cool. For me, it’s so important to constantly be inspired. I’ve always been interested in art, but I didn’t study it and I didn't know how to access it. You can just go to galleries and museums, but with Marguerite it’s amazing because you have direct access to amazing people who work in the arts, it’s a great way to learn and be inspired. The last 8 weekends I’ve been out of London, I really miss it. Ideally, I’d spend a weekend in London walking, around east London – to Broadway Market and Columbia Road – and then heading into central in the evenings. I’ve lived here for 8 years and I’m still finding new streets and areas, you can never get bored walking around London. Dinner Guests - Natalie Massenet, JK Rowling, Michelle Obama, Zaha Hadid, Quentin Jones and The Olsens - Can we be a party of 8? Also, I am noticing a theme here? I’ve lived here for 8 years and I’m still finding new streets and areas, you can never get bored walking around London. I’d love to be able to be in two places at once. Or more plausibly, I’d love to sing. I can dance, that’s a secret of mine. Paradise Row, oh my God, you don't think about it ’til someone asks you, but this is genuinely it. LFW is the big one, it’s our first one. And then collaborations with quite a few establishments; we’re being stocked at the Town Hall Hotel, and we’re at Bonds Hackney, too. We’re starting on a collection of small leather goods, and working on the second collection.